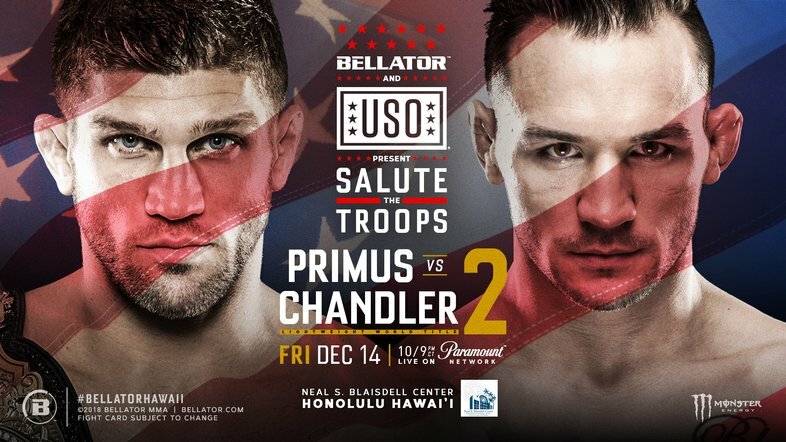 Bellator MMA strikes first in Hawaii, as the company is going to the Island for a couple of big MMA shows this weekend, with plenty of star power to boot. Brent Primus has yet to fight or defend his Bellator Lightweight Championship since a controversial title win over Bellator great Michael Chandler in 2017. The fight ended in a Chandler injury, and Bellator has struggled to get the two in the cage together ever since. Finally, at Bellator 212, the re-match goes down in the show's main event. Supporting the main event is a former UFC Heavyweight Champion in Frank Mir taking on Bellator mainstay Javy Ayala. The undefeated AJ McKee also is set for action, as is the highly touted prospect Tywan Claxton. Robson Gracie Jr. makes his MMA debut on the preliminary cards, with the backing of his famous MMA family. You can tune into Bellator.com at 8 PM EST to catch the preliminary card, and Paramount Network at 10 PM EST for the main card. Fightful will provide full live coverage of the event, and wrap up Bellator 212 and 213 on Saturday night for an all encompassing post-show podcast.